Doctor Of Chiropractic: PUSH-as-Rx ®™: 915-203-8122 | Dr. Alex Jimenez – Chiropractor: 915-850-0900 PUSH-as-Rx ®™ is leading the field with laser focus supporting our youth sport programs. The PUSH-as-Rx ®™ System is a sport specific athletic program designed by a strength-agility coach and physiology doctor with a combined 40 years of experience working with extreme athletes. At its core, the program is the multidisciplinary study of reactive agility, body mechanics and extreme motion dynamics. Through continuous and detailed assessments of the athletes in motion and while under direct supervised stress loads, a clear quantitative picture of body dynamics emerges. Exposure to the biomechanical vulnerabilities are presented to our team. Immediately, we adjust our methods for our athletes in order to optimize performance. This highly adaptive system with continual dynamic adjustments has helped many of our athletes come back faster, stronger, and ready post injury while safely minimizing recovery times. Results demonstrate clear improved agility, speed, decreased reaction time with greatly improved postural-torque mechanics. PUSH-as-Rx ®™ offers specialized extreme performance enhancements to our athletes no matter the age. Charlie Quiroga found the extra “push” she wanted at PUSH Fitness so as to recover her fitness and get back in shape, and to increase her general health and wellness. Charlie Quiroga is grateful to the coaches which helped keep her motivated to continue following a healthier lifestyle. Charlie Quiroga has learned the importance of “pushing” herself towards her goals and staying positive. 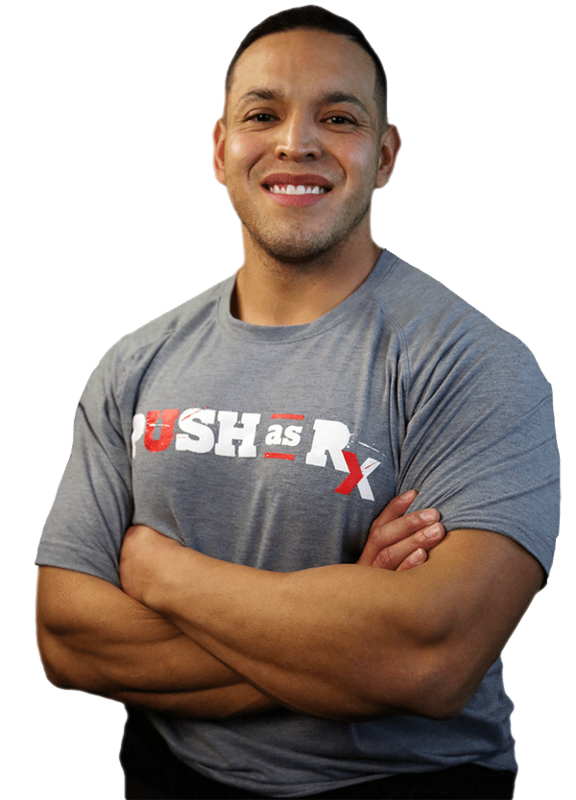 Charlie Quiroga recommends PUSH as the very best fitness choice. Weight management techniques encompass long-term lifestyle strategies that encourage healthy eating and daily physical activity. Effective weight management plans consider not merely weight loss but also the maintenance of a healthy body weight with time. Moreover, weight reduction entails comprehension of purposeful methods to monitor weight over time and set perfect body weights for various individuals. Weight management doesn’t include fad diets that encourage temporary weight loss. It targets the long-term results which are achieved through slow weight loss.